Painted in a soft blue with an arrangement of Chinese vessels and flowers at the centre, within an elaborate border of lambrequin and scrolls. The reverse with five stilt marks. 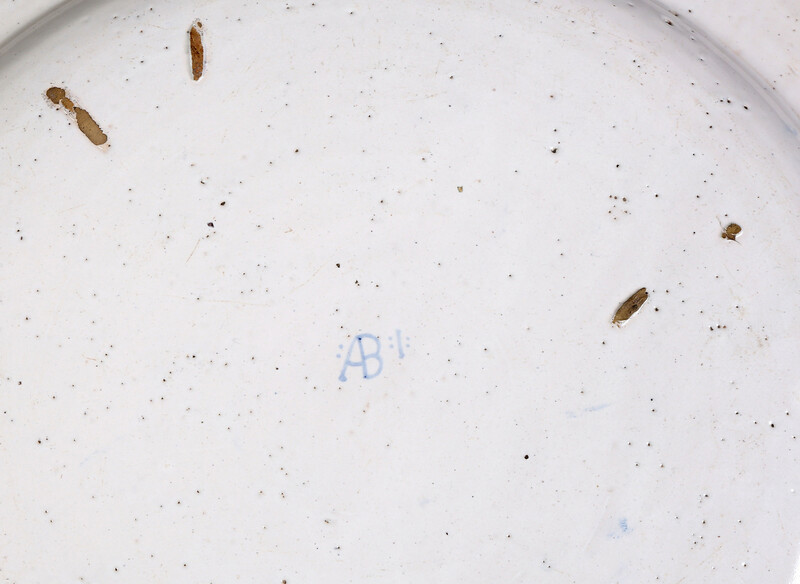 The dish is signed on the reverse with the initials AB for the painter Antonio Baldassini also known as Cappiniere or Cabbiniere, who worked at the Doccia factory between 1740 and 1784. In the Ginori archive he is listed as a painter on both maiolica and porcelain. He is considered the most important painter on maiolica at the factory and the records show that his salary was well above that of other decorators. He is the only known artist at Doccia to have signed his work in full on faience. 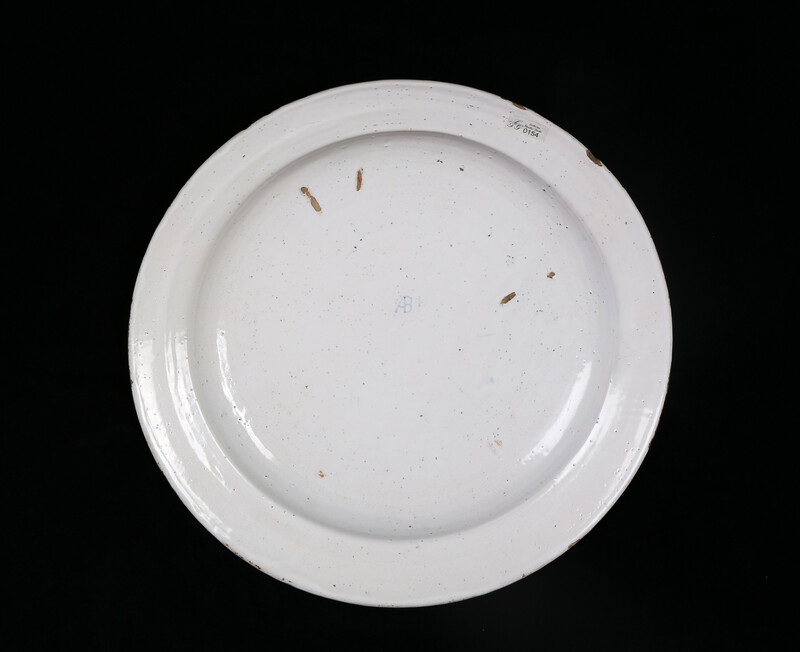 A dish with his signature in full and initials, in a private collection, is discussed by Alessandro Biancalana in the literature cited below. In 1740, the French decorator Nicolas Lhetournaus, originally from Nevers, was brought to the Doccia factory to direct the maiolica production. 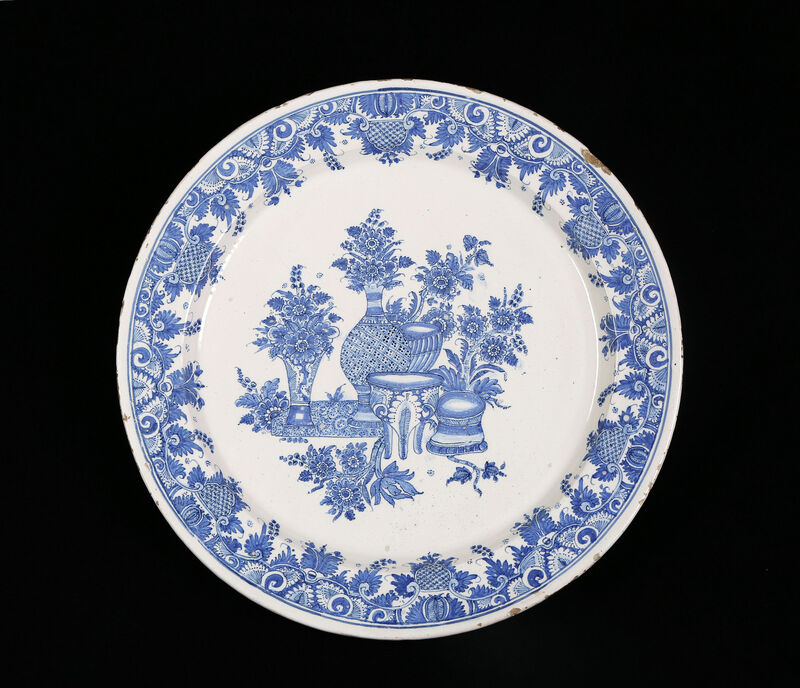 This dish dates from that early period and is one of the most elaborate examples of this rare class of faience.